Abstract floral engraving slices into the surface of this 14K yellow gold wedding ring to reveal a sparkling white gold interior. 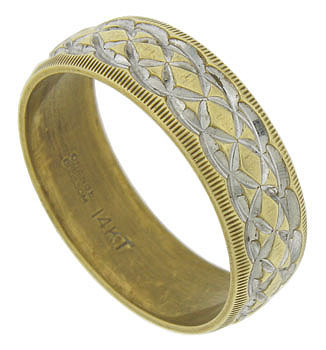 The edges of the ring are impressed with a pattern of simple lines. 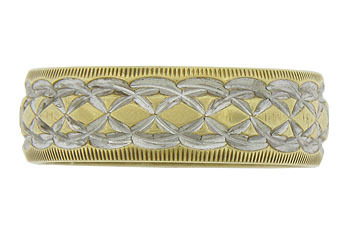 The estate wedding band measures 6.70 mm in width. Circa: 1950. Size 8 1/4. We cannot re-size.